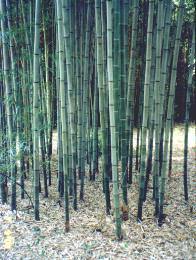 Bamboo represents a very large group of plant comprising 116 genera and over 1400 documented species. 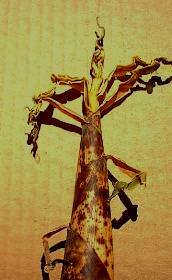 It has species growing on most all parts of this planet, ranging from 46° North to 47° South. 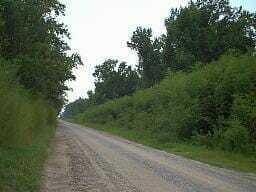 The good news is that most of the U.S. is located in a climate zone 5-8 which limits the species that can be grown. 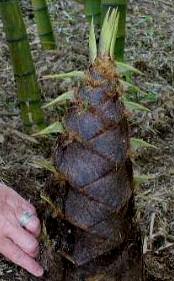 The bamboo that can be grown is still large but climate zone limitations trims down the applicable species to around 500. Of these 500, only about 100 are commonly found and sold in the U.S. 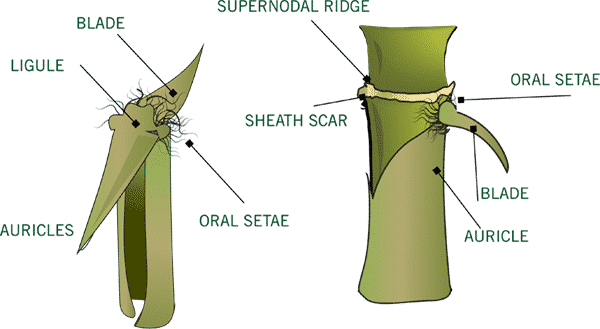 The identification process of bamboo can be difficult and can take some time.The diagrams and pictures will help you in identifying some of the species of bamboo. 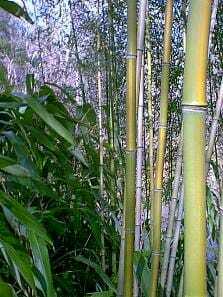 Many species of bamboo can be identified by color, size, growing location and/or unique marking. 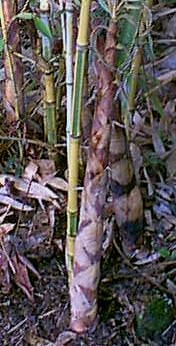 However, most all bamboo species have unique shoots when they emerge in the spring. 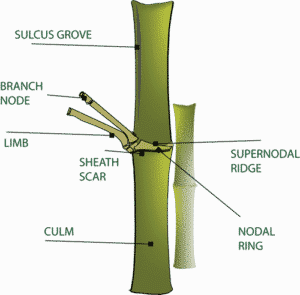 For those less common with bamboo, please click diagrams for more information. Many of these attributes are absent on some species and more prevalent in other which aid in identification. Early in the growing season is when new shoots emerge. 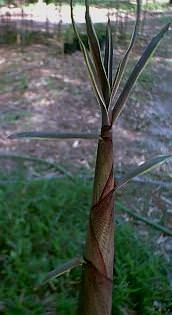 New shoots contain a lot of classifying characteristics to help determine the correct species or genus to the bamboo. 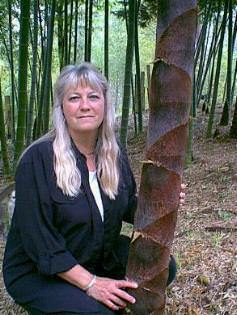 This is an excellent time to identify bamboo, but it can still be difficult. 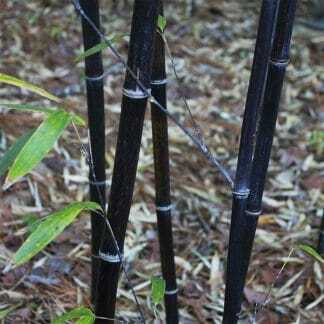 Shoots of a juvenile bamboo grove sometimes have immature characteristics making recognition difficult. 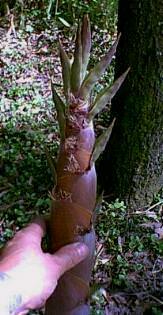 It is best to find larger shoots and examine them when they have achieved a few feet or height. 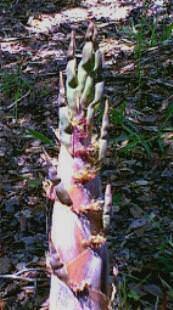 The new bamboo shoots in the springtime are a sight of great beauty. The color and form of many of the new bamboo are simply amazing. We have shared some below and hope you enjoy some of the photos of the new shoots. We got the opportunity to re-identify bamboo species for Auburn University in their Camden bamboo study that was started in the 1950’s. 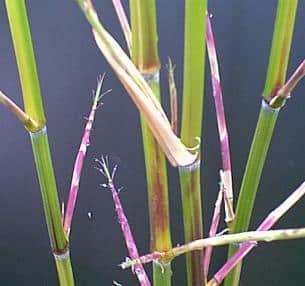 Here is a library of pictures of new shoots and unique canes to help identify bamboo species. 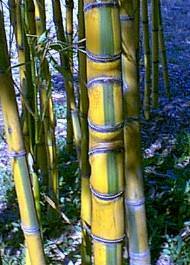 An easily idnetifible bamboo, this species is yellow with a green stripe in sulcus groove. 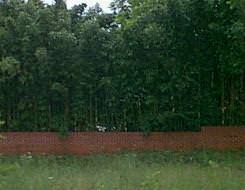 Also about 10% of the cane population will have crooks in the lower portions of the canes. 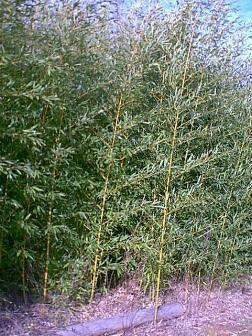 This little bamboo is medium height and very cold hardy. 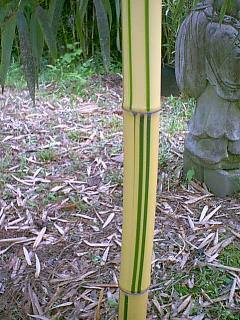 Green bamboo with yellow stripes in the sulcus groove. 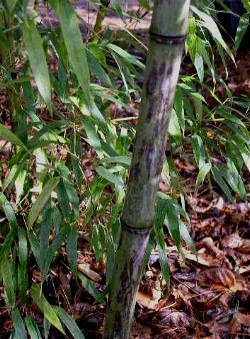 This bamboo is fairly common, especially in the Northeastern United States. 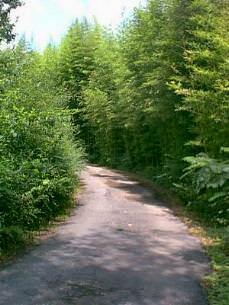 Mature sizes vary from 15′-45′ depending upon climate zone. The limbs are up swept and the foliage is fairly small. 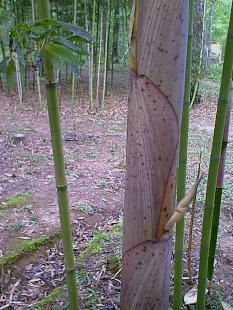 Get the name of red margin bamboo because of the thin red line of the outside of the culm sheath. 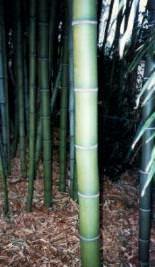 The bamboo has long internodal regions and larger leaves for a bamboo in the Phyllostachys genus. 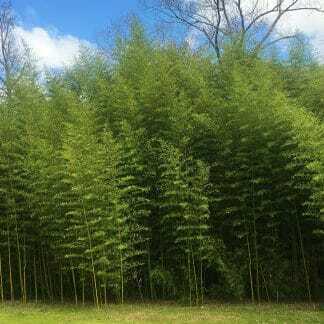 This cold hardy bamboo grows excellent in the north. 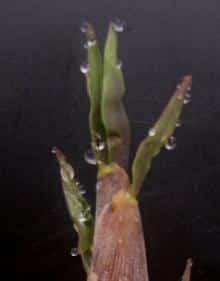 It grows to a medium height in colder areas usually around 12 to 18 feet depending on the climate zone. 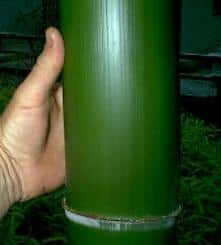 This is one of the easiest bamboo to identify. The canes have a corduroy appearance. 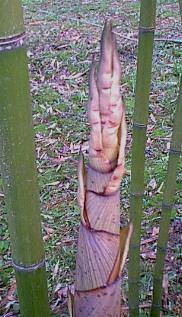 Just a green bamboo but the new shoots have a slightly wavy blade and absent oral setae. The most cold hardy of all temperate bamboo. 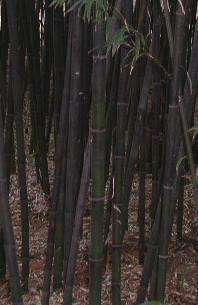 It has a green cane but can be found in the coldest regions that are capable of growing bamboo. 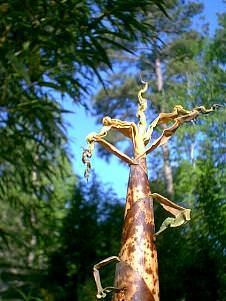 A clone of Moso that has variegated foliage on maturing canes and a scary shoot. winter temperatures do not drop into the single digits. 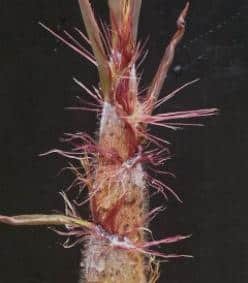 It can grow to 75 feet tall and be over 7 inches in diameter. and is therefore fairly scarce. This has a yellow cane with random green stripes. 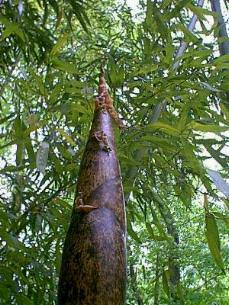 The cane can reach a diameter of 5″ and heights over 70′. 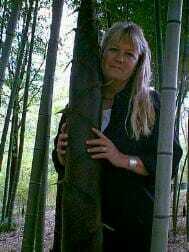 Probably the most seen species of bamboo in the U.S. First introduced in 1882, this bamboo is widespread. This species can be easily identified with the stacked nodal rings on the lower portions of the cane. They make a handle looking appearance. 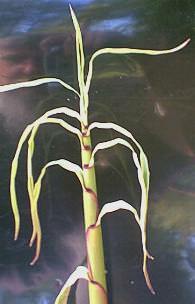 This is why this species is referred to as fishing pole bamboo. Black canes give this species away. They emerge green but with sunlight exposure they begin to turn black. This species has a green to grayish cane with a irregular spots. These spots become more pronounced with sunlight exposure. 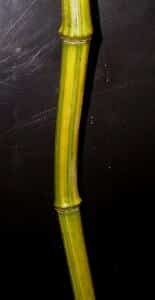 The shoots have a wavy blade and oral setae. 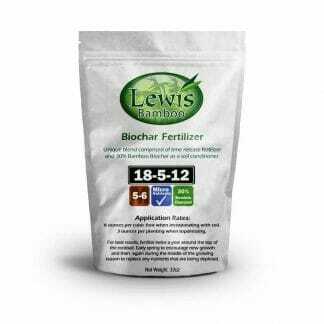 Mature size under ideal growth is 50 feet by 3 inches in diameter. This is just a green bamboo but has a very unique, colorful new shoot. 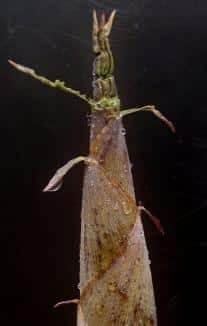 Extremely long blades help identify the new shoots on this species. Delicious new shoots. Most all new shoots are edible but this has a sweet taste. Beautiful purple shoots help identify this species. One of the prettiest new shoots at our nursery. 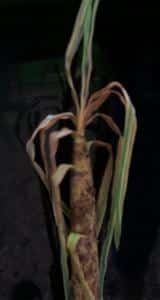 Cane are grayish green in appearance. 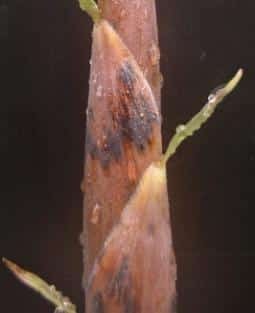 Shoots have wavy blades and oral setae. 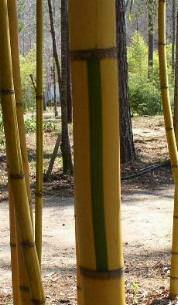 This bamboo has a yellow cane with green stripes in the sulcus groove. 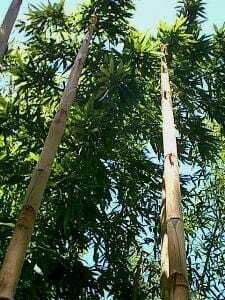 It also has stacked internodes in the lower portions of most of the canes. New shoots have long blades. Most easily identified new shoot. Auricles wrap around to the other side of the culm making a double clasp. Quasi persistent culm sheath help identify this bamboo. Most all species drop their sheath after the expansion but this species holds these sheaves for a couple of years. 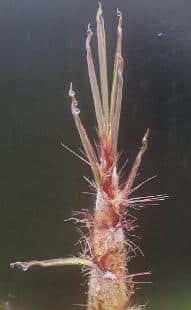 The shoots have very small blades and a smooth appearance. 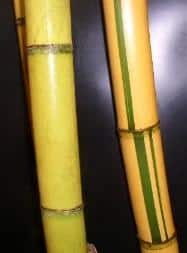 Cane are a bright yellow with random green stripes. New canes emerge a sulfur green color and turn yellow very quickly. 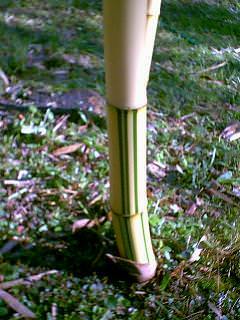 This bamboo typically has a tightly curled blade on the culm sheath. The canes are slightly offset from node to node and small at the base than at a few feet above. 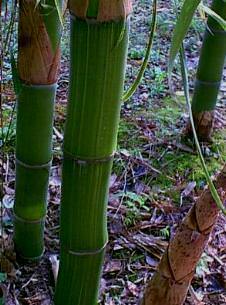 This bamboo has green/grayish cane with a black stripe in the sulcus groove. An easy species to identify by the cane alone.